Sarah Grace Tuttle first fell in love with the ocean on trips to the beach as a child. With a degree in environmental studies and an MFA in writing for children, she is still enthralled by the beauty of the marine world. She lives in Massachusetts. 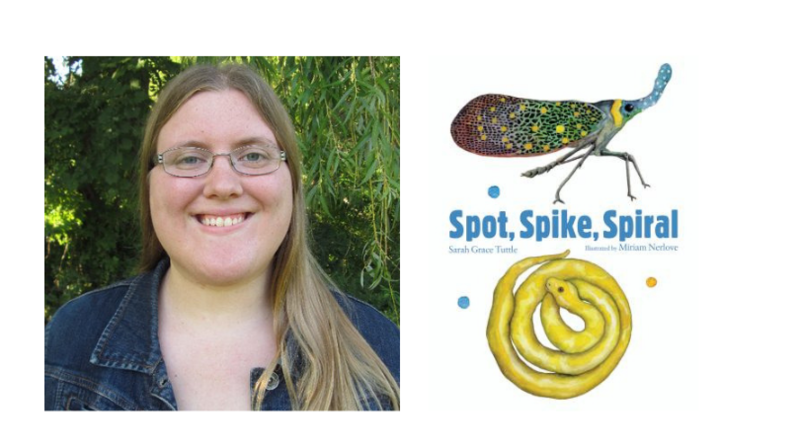 She'll be reading from Dot, Stripe, Squiggle and it's new sequel Spot, Spiral, Spike. This striking board book introduces patterns and shapes displayed in living things by featuring nine spotted, spiked, or spiraled creatures.